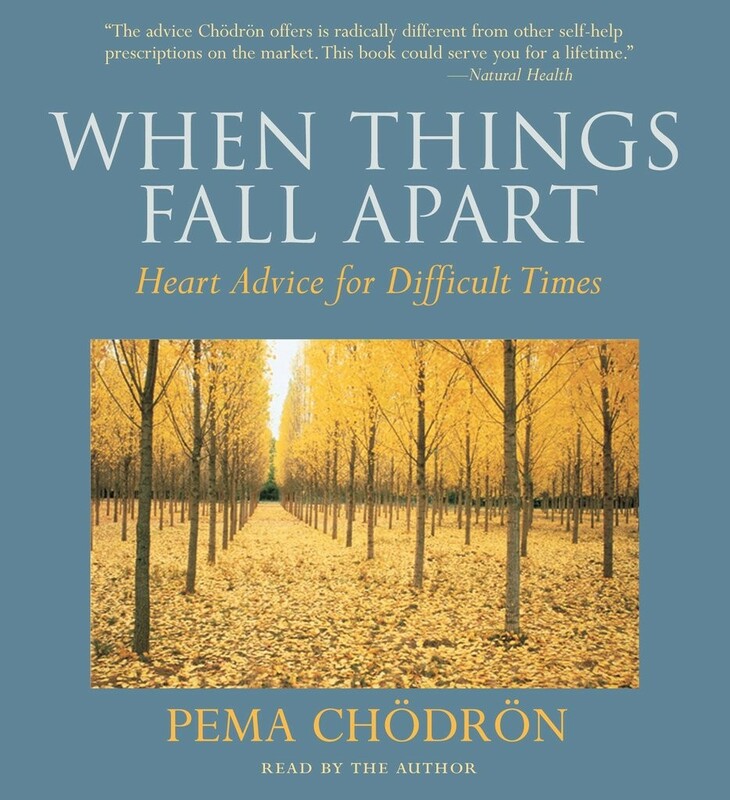 About half a million years ago (OK, maybe 17), when I was navigating the stormy waters of a life-altering breakup, a friend told me I should read When Things Fall Apart, by American Buddhist nun Pema Chödrön. I responded with a vague “Oh yeah, OK, sure” nod. He lasered his steely blue gaze into my eyes and said, “No. Really. You. Should. Read. It.” I borrowed a pen and wrote down the title. Over the next few weeks, When Things Fall Apart (Shambhala, 1997) became the single most influential book of my adult life. With chapter titles such as “Intimacy with Fear,” “This Very Moment Is the Perfect Teacher,” “Relax As It Is,” and “Three Methods for Working with Chaos,” the book opened my mind to new ways of responding to uncertainty. Chödrön is herself a Solo Mom. After her second divorce, while raising children from her first, she sank into depression. By chance, she found an article by a Buddhist meditation teacher talking about how pain can bring us closer to the truth. This inspired her, and she went on to study Buddhism under that very teacher. Having worked through her own hardships with spirituality, she aspires to help others do the same. Over the years, through all kinds of uncertainties—infertility, scary medical mysteries, financial troubles, divorce, parenting—I have returned to When Things Fall Apart to remind me what I know but keep forgetting: Certainty is an illusion; chaos can be good news; fear is an invitation to learn the truth. Each time (as evidenced by my book’s layers of marginalia and underlining), I have found new bits of wisdom to carry in my pocket. No. Really. You. Should. Read. It. P.S. No time to read? Even just the first four chapters can help tremendously.